PRETORIA, South Africa (AP) — Argentina's Jaguares qualified for the Super Rugby playoffs for the first time despite the end of their seven-match winning streak on Saturday. Also, the New South Wales Waratahs clinched first place in the Australian conference, and New Zealand's Hurricanes, Chiefs, and Highlanders also ensured spots in the playoffs. 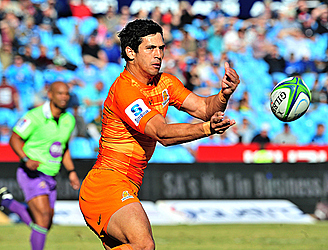 After the fulltime hooter, Jaguares flanker Pablo Matera scored his second try of the match and Emiliano Boffelli lined up the conversion for a losing bonus point. But he hit the post. The bonus point wasn't missed a few hours later thanks to the Sharks' loss. The Waratahs clinched their conference by thrashing Japan's Sunwolves 77-25. 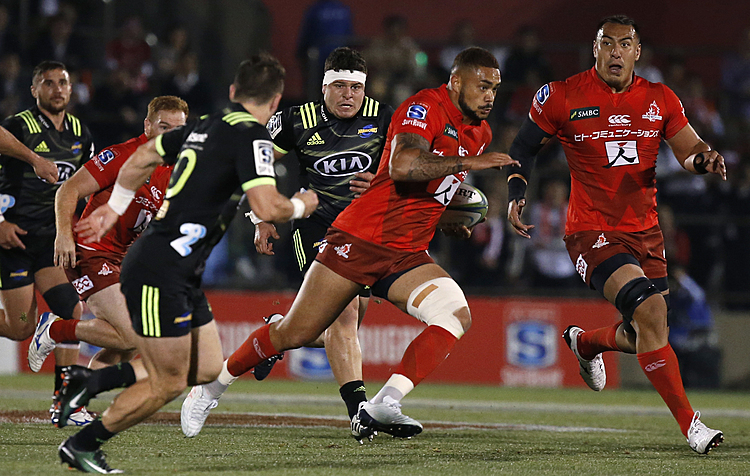 Israel Folau, Taqele Naiyaravoro and Alex Newsome scored two tries each. The Blues rallied twice within four points, but Laumape's hat-trick try quelled the threat of a comeback. His fourth from an intercept sealed a bonus-point win which keeps the Hurricanes in line for a home playoff. "It's been a tough few weeks but it just shows when we hold onto the ball we can do some dangerous things, when we apply pressure at the right end of the field," said Hurricanes captain Brad Shields, who played his 100th Super Rugby game. The Chiefs broadened their lead through replacement Johnny Fa'auli before being reduced to 14 men by a yellow card against Jesse Parete for a late and high tackle. The Brumbies scored tries through Speight and fullback Tom Banks in Parete's absence, cutting the lead to five points, and were hot on attack when the final whistle sounded.